My opinion: Any Commander-in-Chief of our Armed Forces who sends our military into war without a clear goal of, and mandate for, “victory” should be removed and impeached! This is a stab in the back to our military who are drilled and taught that their objective is to defeat the enemy and achieve “victory”. It is telling that when Barack Obama pictures “victory” he doesn’t see in his head that famous photo of the U.S. Sailor kissing the pretty girl in Times Square on Victory Day. Instead, what is immediately conjured up in Obama’s mind is the bedraggled figure of a beaten Japanese Emperor groveling at the feet of U.S. military might. Obama’s sympathy seems to be with the Emperor that governed a nation that tried to viciously take over the entire Pacific Rim and enslave many millions of Asian peoples. It is hard to escape the feeling that Obama’s first thought when the word “victory” is broached is of our enemy, his sympathies with them, not us. Japanese Surrender Party, Hirohito Not Present! 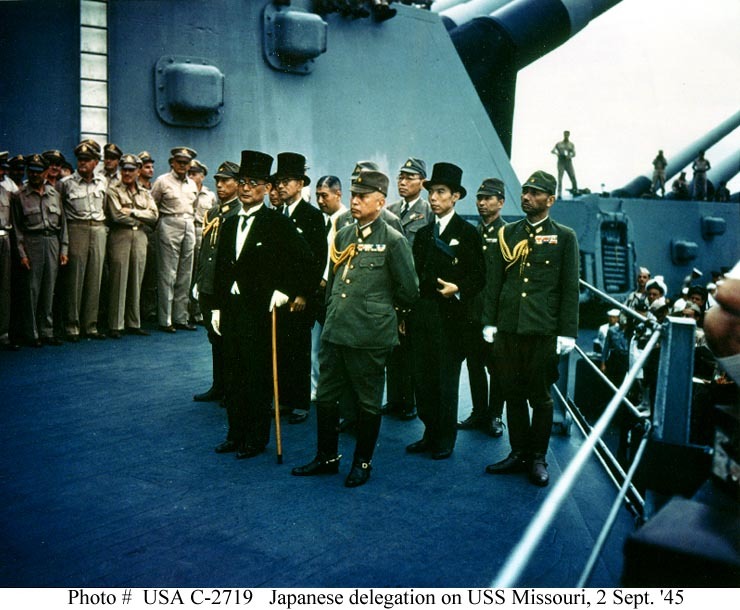 Japanese representatives on board USS Missouri (BB-63) during the surrender ceremonies, 2 September 1945. Foreign Minister Mamoru Shigemitsu (wearing top hat) and General Yoshijiro Umezu, Chief of the Army General Staff. Lieutenant General Suichi Miyakazi, Army. Be it resolved that the Alaska State Legislature hereby claims sovereignty for the state under the Tenth Amendment to the Constitution of the United States over all powers not otherwise enumerated and granted to the federal government by the Constitution of the United States. Gov. Sarah Palin has signed a joint resolution declaring Alaska’s sovereignty under the Tenth Amendment to the Constitution – and now 36 other states have introduced similar resolutions as part of a growing resistance to the federal government…. …While seven states – Tennessee, Idaho, North Dakota, South Dakota, Oklahoma, Alaska and Louisiana – have had both houses of their legislatures pass similar decrees, Alaska Gov. Palin and Tennessee Gov. Phil Bredesen are currently the only governors to have signed their states’ sovereignty resolutions. Read more about State Sovereignty at Tenth Amendment Center. I hope Congress, before they adjourn, will take into very serious Consideration the necessary Amendments of the Constitution. Those whom I call the best—the most judicious & disinterested Fœderalists, who wish for the perpetual Union, Liberty & Happiness of the States and their respective Citizens many of them, if not all are anxiously expecting them—They wish to see a Line drawn as clearly as may be, between the federal Powers vested in Congress and the distinct Sovereignty of the several States upon which the private and personal Rights of the Citizens depend. 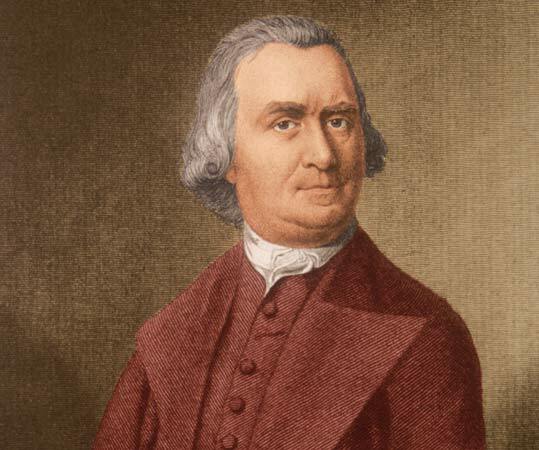 Without such Distinction there will be Danger of the Constitution issuing imperceptibly, and gradually into a Consolidated Government over all the States, which, altho it may be wished for by some, was reprobated in the Idea by the highest Advocates for the Constitution as it stood without amendmts. I am fully persuaded that the People of the United States being in different Climates—of different Education and Manners, and possest of different Habits & Feelings under one consolidated Governmt. can not long remain free, or indeed under any Kind of Governmt. but Despotism. anywhere in the state of Hawaii if he lost his? University and Harvard Law have also proven difficult to obtain. of the stakes you need to join the game. journalist owes those listeners, and that is the pursuit of the noble truth. of where the President was born. more audio (Bret Baier on Fox). Kingsolving says what’s on the internet [what Gibbs referred to as barry’s birth certificate] is not a birth certificate. Some critics have noted Holdren’s penchant for making apocalyptic predictions that never come to pass, and categorizing all criticism of his alarmist views as not only wrong but dangerous. 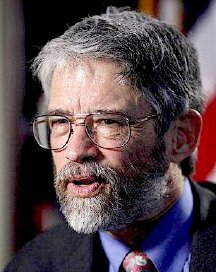 What none has yet noted is that Holdren is a globalist who has endorsed “surrender of sovereignty” to “a comprehensive Planetary Regime” that would control all the world’s resources, direct global redistribution of wealth, oversee the “de-development” of the West, control a World Army and taxation regime, and enforce world population limits. He has castigated the United States as “the meanest of wealthy countries,” written a justification of compulsory abortion for American women, advocated drastically lowering the U.S. standard of living, and left the door open to trying global warming “deniers” for crimes against humanity. 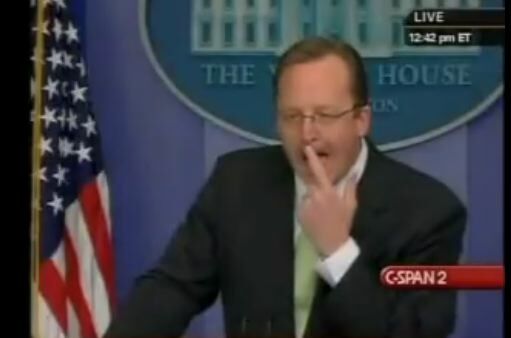 Such is Barack Obama’s idea of a clear-headed adviser on matters of scientific policy. Of course, Holdren wrote these things in the framework of a book he co-authored about what he imagined at the time (late 1970s) was an apocalyptic crisis facing mankind: overpopulation. He felt extreme measures would be required to combat an extreme problem. Whether or not you think this provides him a valid “excuse” for having descended into a totalitarian fantasy is up to you: personally, I don’t think it’s a valid excuse at all, since the crisis he was in a panic over was mostly in his imagination. Totalitarian regimes and unhinged people almost always have what seems internally like a reasonable justification for actions which to the outside world seem incomprehensible. that the quotes were accurate — so most folks (even those opposed to Obama’s policies) doubted their veracity, because the statements seemed too inflammatory to be true. In the modern era, it seems, journalists have lost all credibility, and so are presumed to be lying or exaggerating unless solid evidence is offered to back up the claims. Well, this report contains that evidence. Elected Officials Share in Burdens of Constituents? Not! How sad it is to declare that quotation untrue today. Most of our elected representatives at the federal level never return “to the general mass of the people to participate in the burdens” of their former constituents. The cling desperately to their offices and linger there, often for decades, amassing great wealth and influence so that, when they do leave office, they take with them their generous pensions and their riches. Later they find wonderful opportunities as lobbyists and influence peddlers having never more anything to do with the gullible folks who voted them into office time after time. I have always opposed term limits, finding such limitations opposed to the will of the people. But, I have reconsidered and feel that now is the time to limit all elected representatives at the federal level to two terms. The present downward spiral of the republic towards bankruptcy and chaos makes the 2010 elections so crucial. We must elect everyday people and stop the influx of lawyers in congress. These folks write legislation that only they can understand assuming that they actually read what has been written. Our framers assumed that our representatives would come from the mass of ordinary people; farmers, workers, teachers, clergy, physicians etc. ; that these folks would come to Washington, do the people’s business and go home to “share the burdens” of the populace in their districts and states. 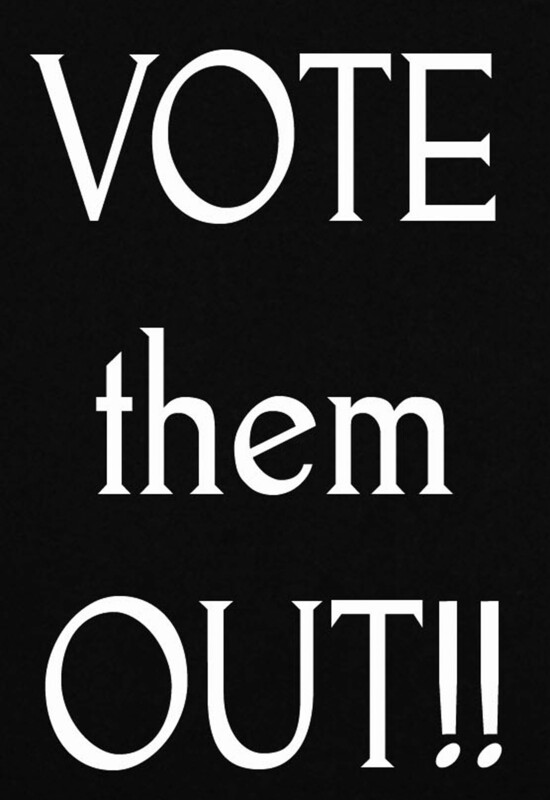 It’s Time to Vote Them Out in 2010 and Bring in Fresh Faces! 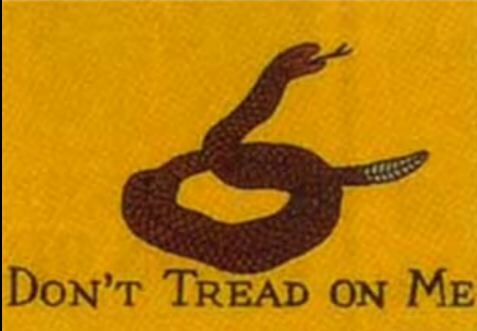 Don’t Tread on Me: Happy Birthday America!